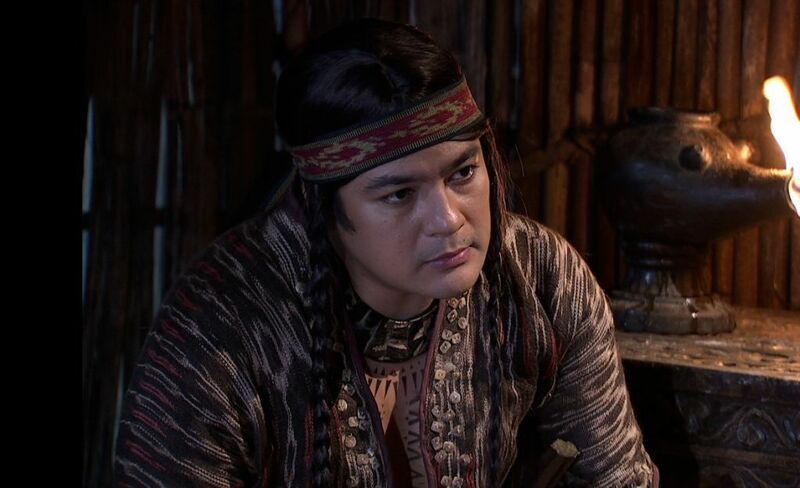 Spotted: Jomari Yllana wears a T'nalak at GMA-7's newest epic-serye "Indio"
The T'nalak cloth made particularly by the T'boli women of South Cotabato has really gone a long way. Have you watch the first episode of GMA-7's newest epic-serye "INDIO" aired last night January 14, 2013? If yes, then you probably noticed Jomari Yllana's upper clothing at the latter part of the episode. He's wearing a T'nalak! T'nalak @ GMA7's epic-serye "Indio"
The people of South Cotabato has taken pride of T'nalak which is made from abaca fibers and hand-woven by the T'boli women of South Cotabato. It has become South Cotabato's cultural emblem as it reflects of the province's varying cultures, beliefs, dialects and art woven together. T'nalak Cloth. South Cotabato's ultimate cultural emblem. The strong white abaca fibers in a T'nalak cloth are said to represent the honest intentions of the South Cotabateños, the reddish-brown strands for bravery, love and commitment, and the black strands represent the struggles of the early settlers who developed among themselves a strong character and perseverance.